BOOMERS coach Andrej Lemanis fears the ugly scenes in the Philippines will make it harder to call on Australian NBA stars for international duty. Aside from the physical and emotional toll on players and the damage to the sport's reputation, Monday night's all-in brawl could have further consequences for the Boomers. NBA teams are already reluctant to release players as it does for the two FIBA windows that fall in the league's off-season. But the ugly events in Bulacan could provide them with another excuse to withhold top-line stars such as Ben Simmons from joining the Boomers for anything short of World Cups or the Olympics. Alternatively, players themselves might not want to risk their own safety for qualifiers in countries such as the Philippines, where security measures were clearly not up to scratch. Two NBA players, Milwaukee Bucks pair Thon Maker and Matthew Dellavedova, were on Australia's roster for the match. 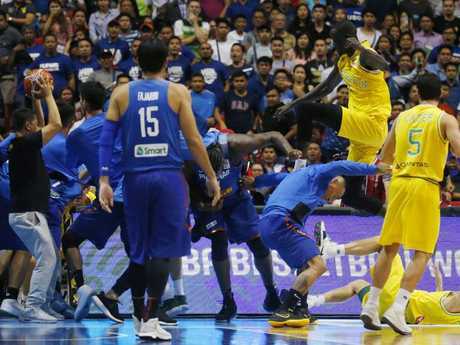 Maker is facing a possible FIBA suspension after attempting numerous fly-kicks on Philippine opponents during the brawl. "Obviously that's one of the concerns ... what it means generally in terms of players' willingness to participate and put their hand up," Lemanis told reporters on Wednesday. The ugly fracas looks set to end in serious penalties. 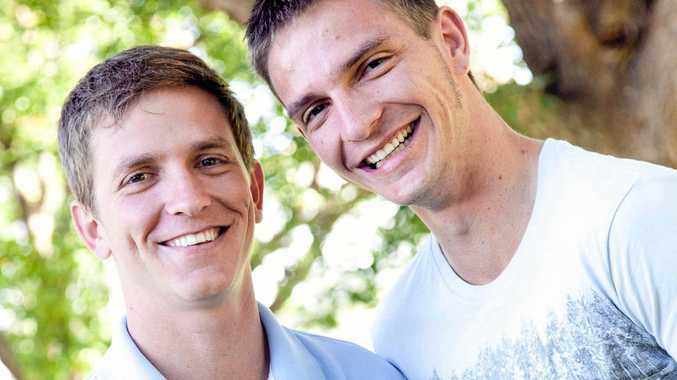 Daniel Kickert admitted he "overstepped" the mark in elbowing Philippine guard Roger Pogoy in the face. Kickert is likely to receive a long suspension from the global governing body for his hit on Pogoy, which sparked the ugly third-quarter brawl. "I was put in a position where I obviously made an action which was regrettable and unfortunate," Kickert told reporters in Brisbane on Wednesday. "I think I've overstepped a little bit with my response to the escalation in the game, I regret those things." 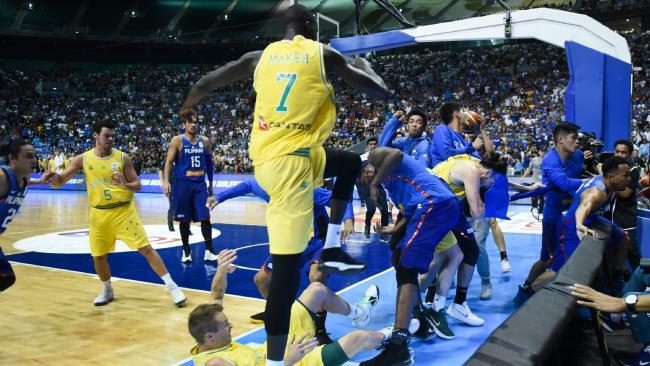 Boomers assistant coach Luc Longley alleged Philippines coach Chot Reyes incited his players to act violently, blaming him for the ugly brawl that marred the game. The Australian described the all-in fight as the worst thing he'd ever seen on a basketball court. Longley rushed to the aid of Chris Goulding as he was set upon by a dozen Philippine players and officials. "It was horrifying ... really disturbing," Longley said. Guard Goulding escaped serious injury despite also having a chair thrown at him by one of the Philippine coaches. Goulding touched down at Melbourne Airport early on Wednesday morning but declined to address the incident. "I'll speak to everyone at a more appropriate time," he said. Lemanis said Goulding and Nathan Sobey, who was punched by an official and also hit by a chair, had only a few "bumps and bruises" to show for the fracas.